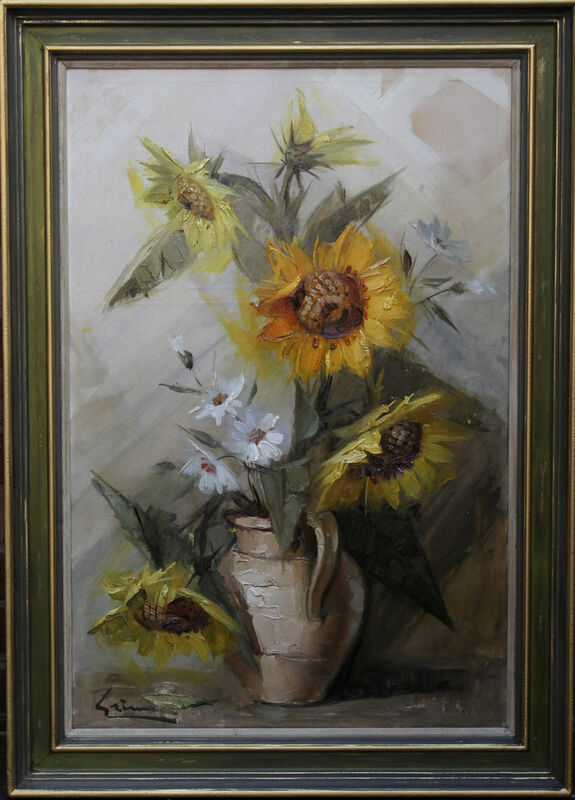 A large original oil on canvas of Sunflowers painted circa 1960 by British listed artist Stanley Grimm. A fine vibrant and colourful still life with god impasto and in excellent condition. Stanley Grimm was born in London. 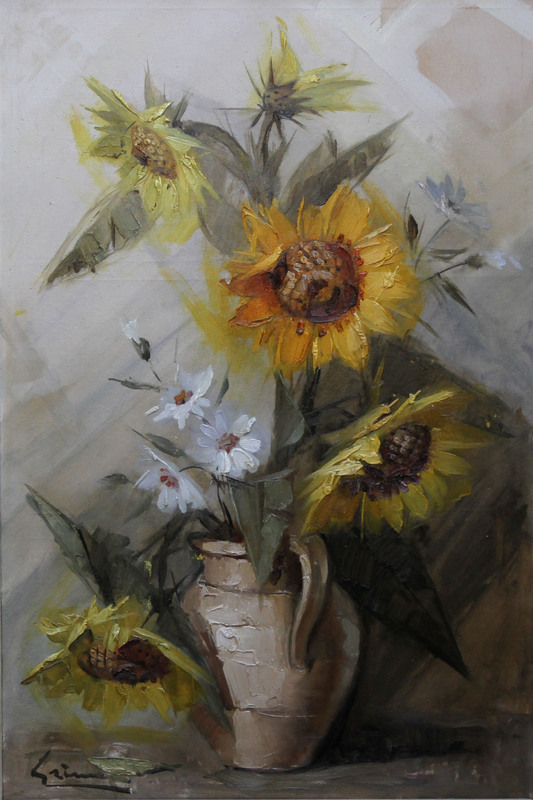 Studied at Riga Arts School 1910-13, then in Munich in 1913-14. After the World War I settled in London. As well as showing widely abroad, Grimm exhibited extensively in England including RA, Redfern Gallery, ROI, Goupil Gallery, Leicester Galleries and Gallery Edward Harvane. Member of Chelsea Arts Club. His work is represented in a number of public art galleries. (see BBC Your Paintings).